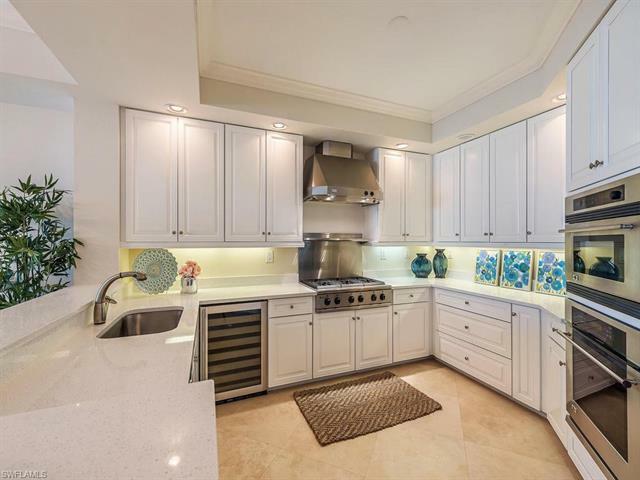 C.15133 - Prepare to be overwhelmed once you enter this striking, value-packed 14th floor 3+den, 3+bath unit featuring mesmerizing views of the Gulf of Mexico & Turkey Bay. Fresh improvements to the kitchen include a custom cabinetry update with striking quartz countertops featuring GE Monogram stainless steel appliances, gas cooktop & wine cooler. Gorgeously appointed furnishings and accoutrements can be added to the purchase making this an effortless way to gain access to all of the incredible resort style benefits The Dunes has to offer. The soon to be completed on-site amenities center featuring a lagoon style pool, tiki bar, fully equipped wellness center, tennis facilities, casual dining, club room and more are included. Optional private membership to the recently updated Floridian Beach Club offering beach chair, towel and umbrella service with full restaurant and additional guest privileges is available for an additional transfer fee. Grand Excelsior is currently being repainted and common areas have been remodeled making your entire experience feel freshly updated. Seldom does one happen upon an opportunity featuring amazing views in this great of condition at this price.